This entry was posted on 25th January 2018 by WoodBlocX. It’s January, the weather is gloomy and there’s not a great deal going on out in the garden; but don’t let that stop you being productive! 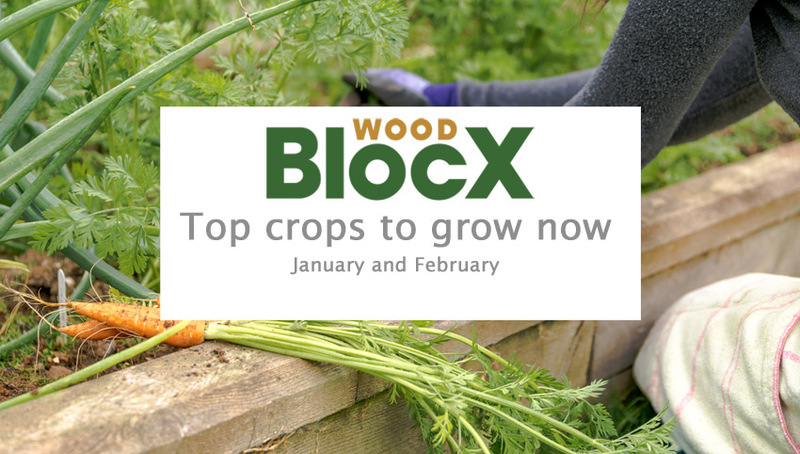 Here are four easy to grow and useful veg that can be sown between now and the end of February, either directly in your raised bed or indoors. 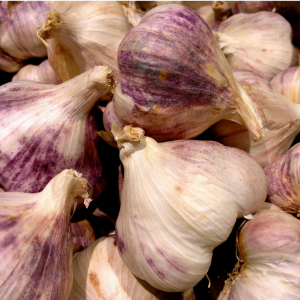 Garlic is a wonderfully versatile ingredient with the addition of some great health benefits. If you are keen to grow your own make sure you use the cloves from a bulb that is specifically for planting as those sold in the supermarket for cooking may not be suitable. Plant individual cloves in a sunny spot directly in the soil. 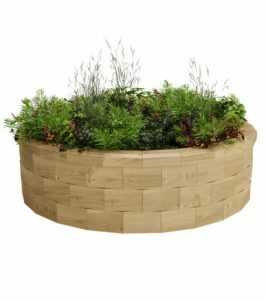 A square, rectangular or even circular raised bed is ideal for growing garlic and vegetables. A fresh leek pulled straight from the soil is tender and tasty and a million miles from the supermarket leeks. Use in soups and stews or smother in cheese sauce. 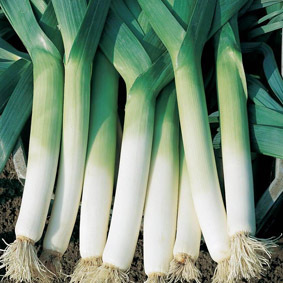 Leeks can be planted directly in the soil or in seed trays, but remember if you’re planting them directly to leave a good space between them. 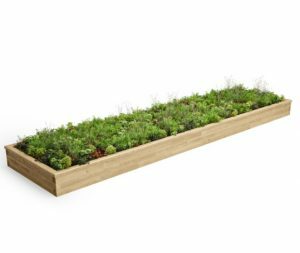 Raised beds are perfect for growing leeks and other root vegetables, plus weeding and watering is made so much easier due to their height. 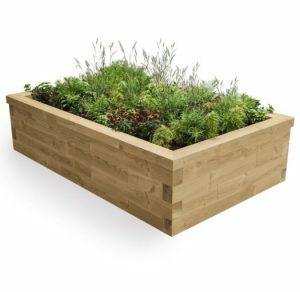 A classic rectangular raised bed is a great choice. 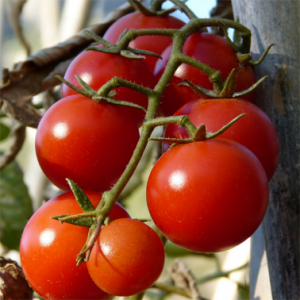 Tomatoes are one of the most popular vegetables (or fruits!) to grow at home. Sow indoors towards the end of February in a warm windowsill or heated propagator to get them off to a flying start. Remember to gently remove the new leaves as they sprout in order to keep the plant focused on developing the fruit and growing new stems. 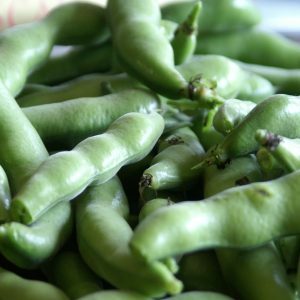 Broad beans are another versatile and easy to grow vegetable; simply sow in pots or undercover to begin with and then transplant into well-drained soil, making sure you leave plenty of space between them. Have some canes at the ready to train the plants to grow upwards. 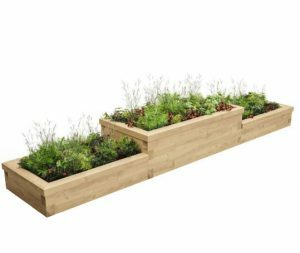 The long stepped planter is ideal for growing beans, climbing veg and fruit canes, and with different compartments it’s the perfect height for tending and harvesting. Growing your own fruit and vegetables takes time and perseverance, but it does give you complete control over the whole process, allowing you to grow organically or choose the fertilisers and pest control products that suit your preferences. 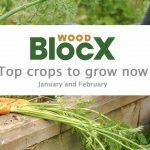 WoodBlocX raised beds are ideal for vegetable growing, being raised up from the ground means they warm up much quicker than open soil, plus the wood used doesn't contain any harmful residues that could leach into the soil making the kits a great alternative to railway sleepers which are often treated with chemicals.